A schematic overview of the joint structure. 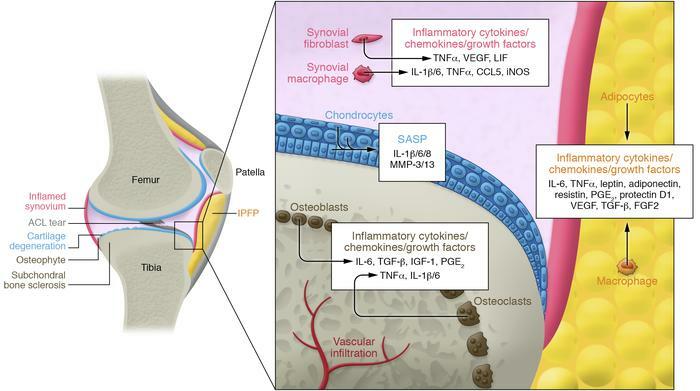 Articular cartilage, subchondral bone, synovium, and infrapatellar fat pad (IPFP) are joint tissues that may harbor senescent cells and secrete a senescence-associated secretory phenotype (SASP) induced by aging or trauma. Loss or damage to the anterior cruciate ligament (ACL) or other joint structures is a primary cause of PTOA.